There’s something so pretty about rose coloured lipstick – pink enough to be girly and flattering, but not too garish or bubblegummy. Plus, the added bonus is they’re perfect to wear right now, as we’re transitioning into Autumn. 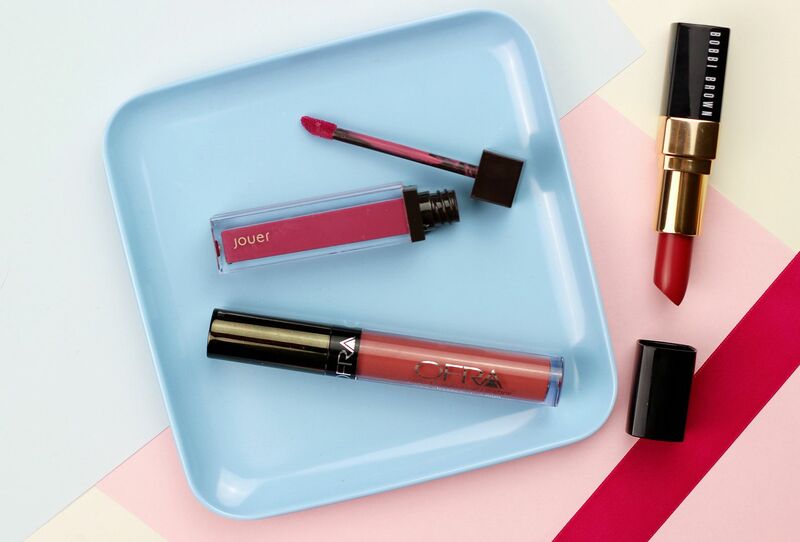 New from Jouer is the lip creme in Tawny Rose. My first dabble in Jouer lip products – the packaging is clunky and a bit naff but the shade itself is good. Standard artificial vanilla scent, standard wand but the formula is pretty decent. Lightweight on the lips and with a long-wearing formula, this one is the perfect rosy pick for an everyday lip option. I am loving this for wearing to work in particular. I’ve spoken about my love for the Ofra formula before, and Charmed is no different – a lovely light rose that is one of the rosiest roses around. Miles apart from the Jouer formula in that it’s thick and moussey, but deliciously non-drying. I love this shade for complementing virtually any makeup look without ever being overdone. If you’re looking for something softer on the lips, I would recommend the Bobbi Brown lip colour in Roseberry – one of Bobbi’s classics, I believe. There’s something that feels so grown up about Bobbi brown makeup – I really enjoy it, and it reminds me of my mum doing her makeup when I was little. This shade in particular though is a gorgeous, creamy pop of colour without being intimidating or bright.